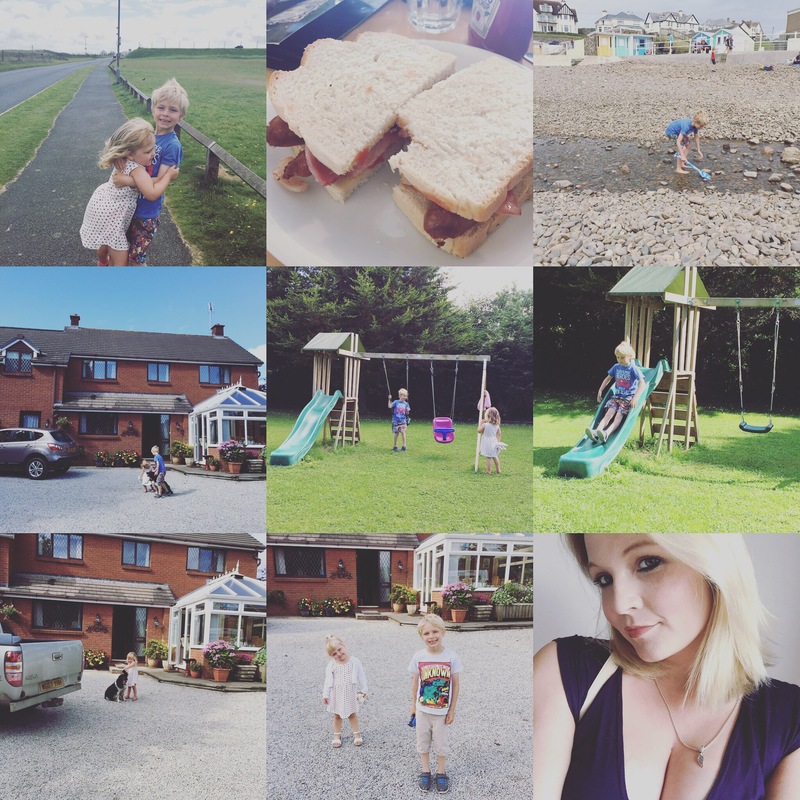 On Sunday, the kids and I were picked up bright and early by my mum to go away for a few days, staying on the Devon/Cornwall border. Our first day was a relaxed one, having some lunch and going down to the beachfront in Bude before heading back to our farm guesthouse near Holsworthy. 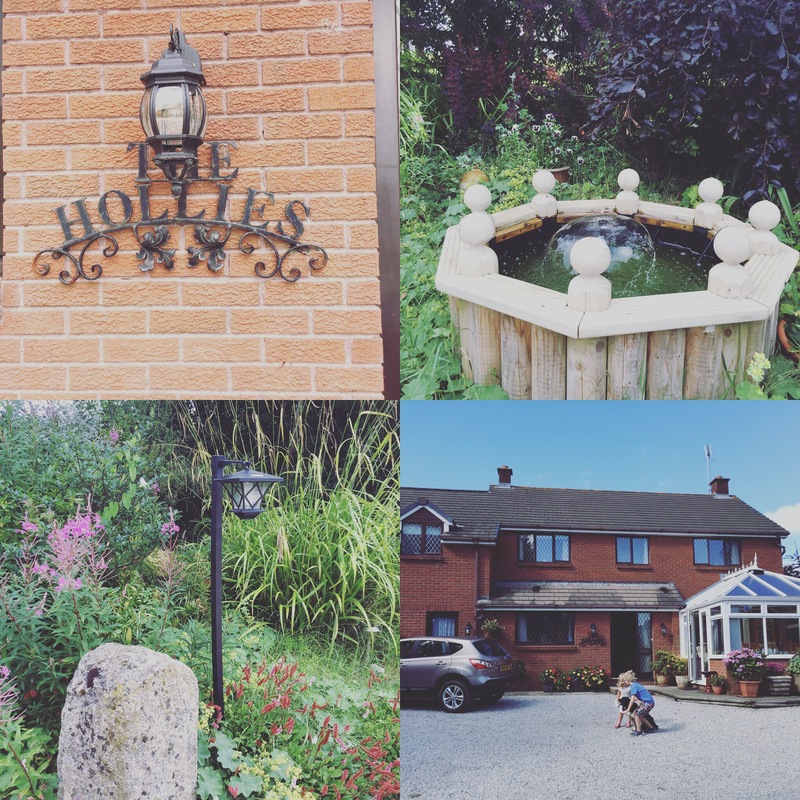 The Hollies Guesthouse is a quaint little bed and breakfast down a country lane. Our bedroom overlooked the neighbour’s field where cows mooed to us in welcome. I was a little disappointed that there wasn’t a bath in the room as the kids are adverse to taking showers (and on closer inspection, the water pressure was awful so I wasn’t able to wash my hair the entire trip – eww!). Overall the guesthouse was lovely and the children wasted no time in exploring the garden and meeting the resident dog called Millie. We went out for dinner that evening which was a complete and utter disaster (I’ll be writing a separate post regarding our food during the trip). 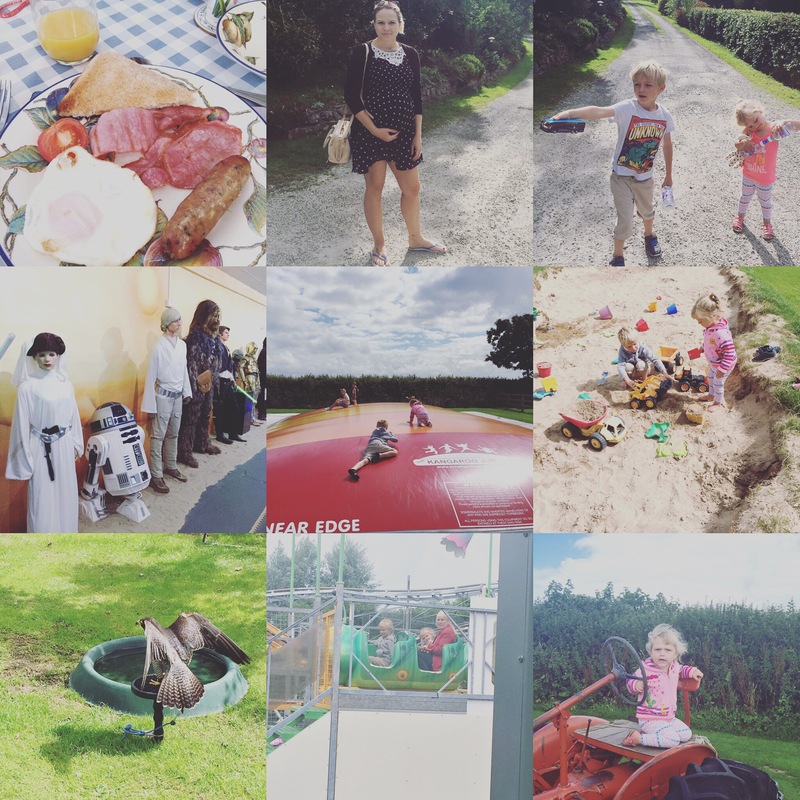 Our second day was spent at Milky Way, a mini theme park and adventure attraction for children. Cameron and Carly absolutely loved it there and it was a great day finished off with a brilliant meal at a restaurant overlooking the picture perfect Cornish cliffs. 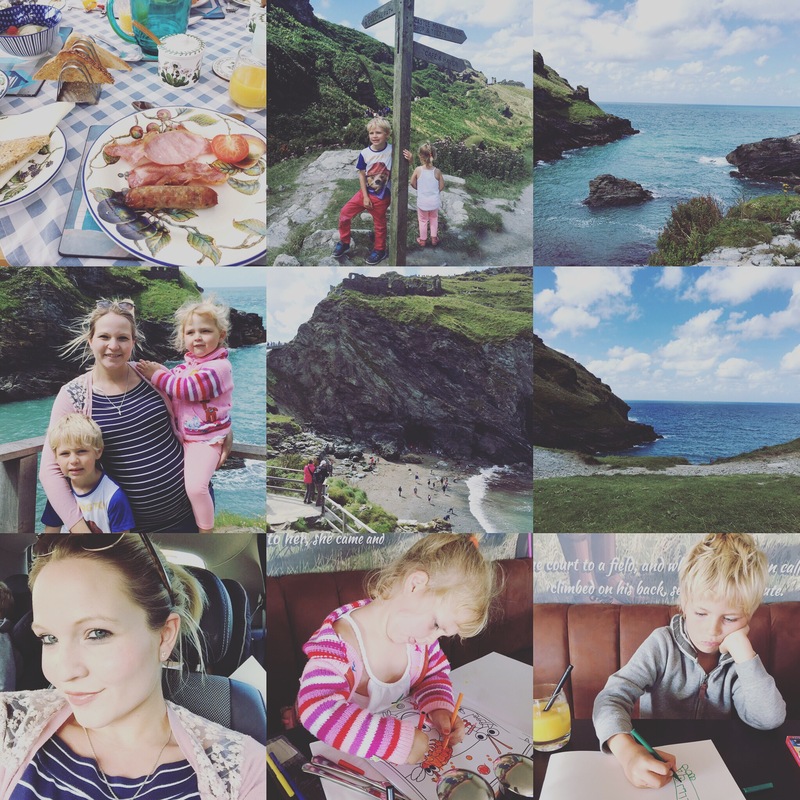 On our last full day (Tuesday), we were planning on heading somewhere quiet for a picnic but in the end, after a little drive out into the countryside, we came across signs for Tintagel castle and decided to go there. Although we didn’t visit the actual castle, we parked in the village and walked round the shops and then took the steep coastal path down to the viewing points at the bottom by the cliffs and rock edges. It was beautiful down there. On our way back to the car we picked up some presents for family members and Cameron and Carly got some colouring books (which came in handy at the restaurant we stopped at for our dinner).